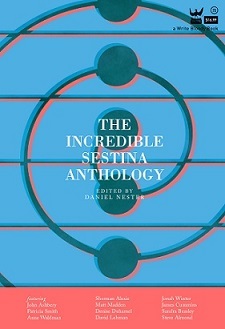 In a lot of ways, The Incredible Sestina Anthology is just one giant mix tape of sestina-awesomeness. What better way to showcase this than our very own Book Notes? Daniel Nester’s TISA playlist includes everything from opera to the Lone Ranger theme song. For the full list, published this past Friday, click here. 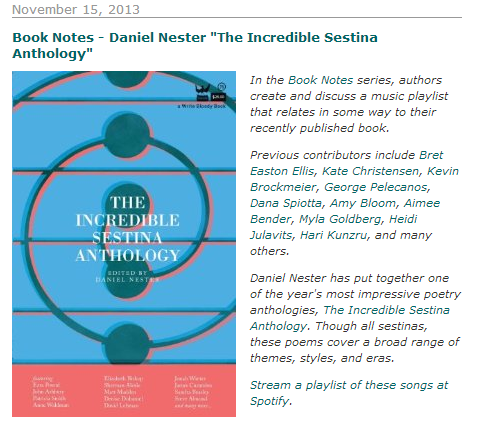 This entry was posted in Sestina-Related and tagged art, Arts, book notes, buffy the vampire slayer, Daniel Nester, form, Incredible Sestina Anthology, jenny boully, lone ranger, McSweeney, music, Poetry, press, publicity, Sestina, showgirls: the musical!, spotify, The Incredible Sestina Anthology. Bookmark the permalink.